Most processes in hospitals are time consuming and require a great eye for detail in order to not make mistakes or mix up patient’s information. With new technologies, these processes can become more efficient and managed more effectively, which will allow your nurses to ensure that their patients are being care for with attention and care. 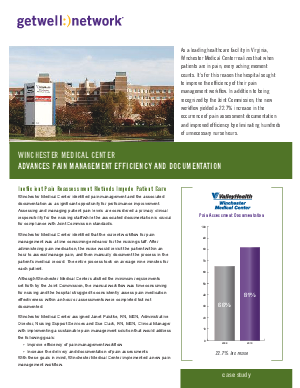 Download this whitepaper to see how to better assess and manage patient pain levels and see how these changes will greatly increase the efficiency of your nursing staff.